Diana Thomson thought everything was back on track for James, her son. 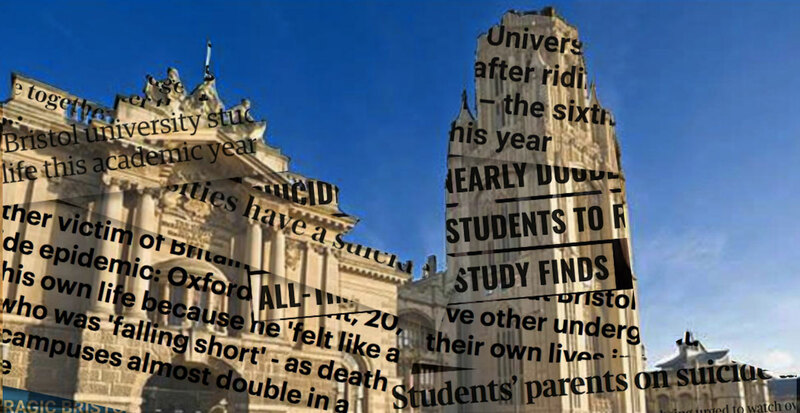 One Wednesday at the end of this October, in his room of his student house in Bristol, the Maths student was found dead. At the time, the police believed it was suicide, and an inquest this week confirmed this. 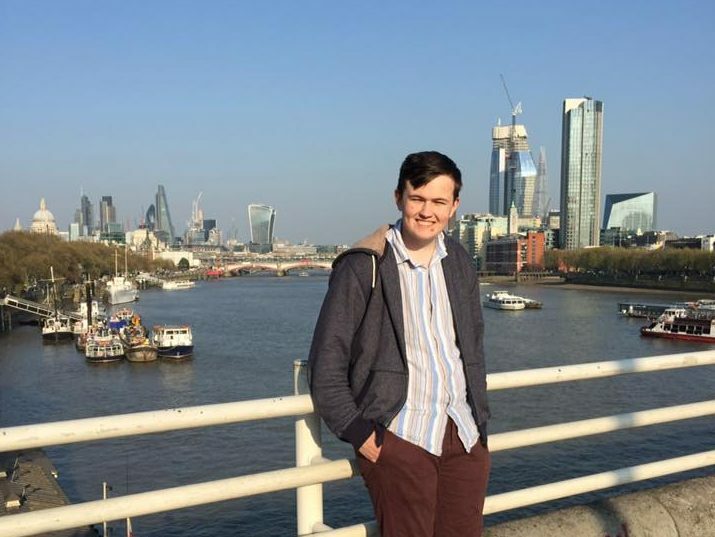 During Sixth Form, James went on a trip to Malawi, where he raised money to help build and decorate a local school. When A-level results day came, James got an A* in Maths and an A in both Further Maths and Physics. Sport was a passion, “especially football and American football,” says Diana. James was an avid Crystal Palace fan, although his passion for football sits among a large list that includes swimming, skiing, and tae kwon do. They’d play pool together, and James was a qualified football referee. Yet, his experience wasn’t as expected. Unlike the halls he’d been shown, James lived in a tower block above a car park down by the river, which his mum describes as isolating. An air conditioning unit above his bed kept him awake, so he wore headphones playing music to sleep. Nobody could get the heating to work, so they had to buy a heater. In the kitchen, there were only five chairs, and the common room was just a room with chairs, no bar, no TV. James’ halls were nothing like the accommodation or social rooms we were shown on the open day, says Diana. James failed his first year exams. “We knew James struggled in his first year but we thought he’d got everything sorted out and he was back on track,” says Diana. During his year out, in December 2016, he was a contestant on Countdown. He re-sat his exams, passed them, and returned to Bristol this Autumn. When he got back, he didn’t go into uni accommodation. “Halls weren’t offered as far as we know,” says Diana, and he found a room in a house in Kingsdown to rent. If James’ first year at Bristol was isolated, as his mum describes, his second year was decidedly less so. He was also speaking to his parents, and looking forward to things coming up: “We spoke to him on 21st October and he was so pleased that he had been made third team pool captain the day before,” says Diana. James was looking forward to the competition at the end of November. He was also a Cub Scout leader in Bristol, and enthusiastic about scout camp at the beginning of November. On 24th October, James had been to watch his team, Crystal Palace, play Bristol City away in a Tuesday night cup game. Palace lost, and he returned to his student house where he saw his housemate, Alexandra Day. James didn’t acknowledge her, she told the inquest, and went to his room. The next day, Wednesday afternoon, Alexandra knocked on James’ door to check on him, as he’d been subdued when she saw him. There was no reply. As she grew worried, there was no sign of James until later in the afternoon, when she heard noise coming from his room. Again, Alexandra went up to James’ room to check on him, and again there was no reply. That evening, James Lockyear, one of James’ friends from the Snooker club, came to the house on his way to a snooker event. Lockyear went up to check on James, and again there was no reply. This time, Lockyear broke the door open, and found James dead in his room. The inquest into James’ death ruled it a suicide. “Why now, we have no idea,” says Diana. 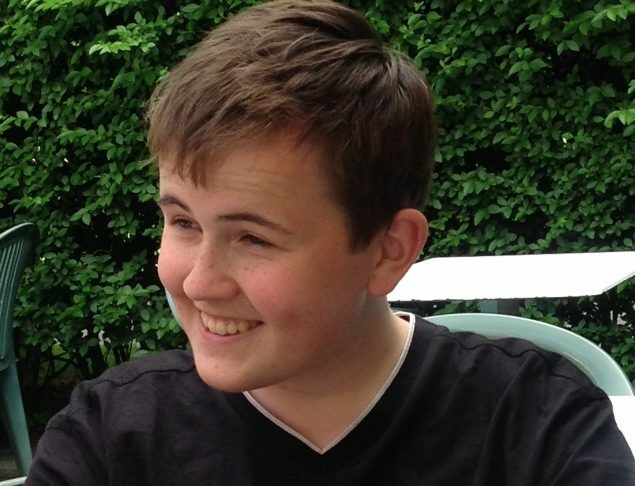 James’ suicide makes him one of six Bristol students to have taken their lives in just over a year. Daniel Green, Kim Long, Miranda Williams, Lara Nosiru, and Elsa Scaburri all died since October 2016. Each death and each story is independent – inquests have found them not to be linked – but together they paint a clear picture. British universities have a suicide problem. The numbers at Bristol are part of the wider picture. From 2007 to 2015, the number of students at UK universities to die by suicide rose by 79 per cent, to a record high of 134, according to think tank IPPR. These suicides are the sharp end of a trend that’s been pushing the ability of universities to help those with mental health issues. The strain placed on them is growing at an alarming rate. In the five years to 2015, 61 per cent of universities saw demand for their counselling services increase by more than a quarter. From 2002 to 2015, the number of students telling their universities they have a mental health condition increased fivefold. Yet, the September 2017 report by IPPR finds only 29 per cent of higher education providers have an explicit health and wellbeing strategy. Put simply: the scale of the problem is changing rapidly, but universities are not. “We have to find a different way of managing this.” Those are the words of Steve West, the Vice Chancellor of UWE, who has warned that universities are heading for a mental health crisis if nothing changes. That’s why we do our Mental Health Rankings. They’re the only study to assess universities’ ability to care for students with mental health issues. Now in their second year, 47 universities are included. We’re aiming to paint the truest picture of mental health at university, and provide a standard to compare unis with. Our rankings focus on two main things: how much money universities spend on their mental health services – counselling and wellbeing – and how satisfied students are with the services at their uni. Beyond that, we also look at how long students have to wait to get help, how much universities plan to invest in their services, what proportion of students with issues access help, and how well the funding matches the demand. Over 9,000 of our readers completed our survey and told us their experiences – how well their university handles mental health, how satisfied they were with their experience in the service, how well they think their university handles suicide. Together with data from a series of Freedom of Information requests, we put together the rankings, which you can see in full here. At the top of our rankings are Reading, St Andrews, Kent, and Oxford. At the bottom are Bournemouth, Strathclyde, Hull, and Oxford Brookes. There are a few good universities who, despite spending decent sums, don’t see that reflected in how satisfied their students are: York, UCL, and Bristol being notable examples. Universities have to prioritise who needs help, and many students feel they are failed. When James died, his parents were on holiday. The university were in touch, and eager. “They didn’t even allow us to get back to the UK before they were pushing us to approve a text to send to students. This was on a number of news sites before we’d even got back to England or even told family or friends,” says Diana. After this, the family had to wait. They didn’t get a letter of condolence until well over 2 weeks later. “They appointed someone for us to liaise with. She cried on the one occasion when I spoke to her on the phone. I’ve only emailed since then. Spending more, getting students seen quickly, and adopting a clear strategy isn’t a mystery formula. Plenty of unis are in a period of transition – acknowledging the demand, and trying to meet it. In the meantime, people are left behind. “It’s wonderful that Bristol is now spending a million pounds on student services,” says Diana Thomson. In Bristol, each hall has a support network. There’s a Warden, a Junior Warden, a Senior Resident, and a Student Support Advisor, or SSA. These form the support network for people like James, who are finding their way at university, and adapting to a different way of living. Tom Phillips, a senior member of one of the halls’ Advisory Committee, speaks of a “crisis of morale among halls staff”. Since 2016, under pressure and facing a review that many feared would get rid of their job, seven SSAs have left their posts. We spoke to one of those, under the condition of anonymity. Individual SSAs were too stretched to do what they needed to. “There wasn’t enough time to do everything that was expected of us. We would prioritise pastoral work to the detriment of other elements of the role,” the ex-SSA said. It’s impossible to understand the growing strains and pressures the ex-SSA talks about without looking at another part of the system – the NHS, and what’s known as the cascade effect. Even when NHS services are good, well trained, and effective, the massive increase in demand can be too much to cope with. One example of this is GP practices. ”There are clearly lots of GP practices who are doing amazing work, who are very specialist for students who are absolutely clued up to what they need, but even they are struggling under the sheer demand that is coming through the door,” says Dominique Thompson, who was Director of Bristol uni’s Students’ Health Service for seven years until this September. Up to half of GP consultations in those practices can be for mental health, “and that has gone up massively over the last few years,” she says. This is recognised in policy. There’s supposed to be a parity of esteem – mental health being treated the same as physical health. Yet that simply doesn’t translate to reality. Figures obtained by the MP Luciana Berger, and reported by the Independent, show that half of CCGs – bodies responsible for the planning and commissioning of health care services for their local area – plan to reduce the proportion of their budgets spent on mental health. The culmination of this is that it’s harder to get looked after by the NHS for a mental health problem. “It’s more difficult to become an inpatient, it’s more difficult to then be helped by the crisis service, or work with a secondary care specialist, like for eating disorders or personality difficulties. And it’s more difficult to access primary care, psychological services,” says Jeremy Christey, a counsellor who worked in Sussex university’s services for 15 years, and chaired the university and college division of the British Association for Counselling and Psychology. Cascading down onto universities, who have to deal with more and greater problems, the burden increases. This is because they aren’t clinically trained. Bristol offer mental health and pastoral training sessions, but SSAs would sometimes miss it because of the workload. 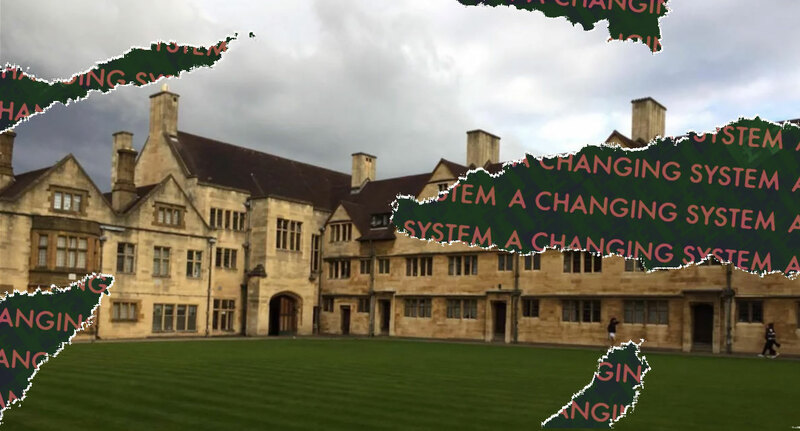 Step Change is one initiative being taken up by universities. Cardiff, York, and UWE are the first unis to take part in the project, headed up by Steve West, the UWE Vice Chancellor who warned of a coming crisis. It calls on them to adopt mental health as a “strategic imperative”. Many unis who replied to us said they were investing or creating strategies. Signs of change are there. Serious change, and needed change. But people still get left behind. James Thomson is one of them. “I’ve still no idea what it was I missed with James,” his mum says. The Tab’s Mental Health Rankings is the only study to assess UK universities’ ability to care for students with mental health issues. Now in their second year, the rankings cover 47 universities across the country. Our map shows the results, comparing how universities around the country deal with mental health with metrics based on spending, waiting times, and satisfaction. Find out how your university has done.